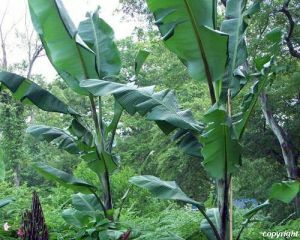 Banana plants are represented in the family of the Musaceaen with approximately 100 species and many hybrids. 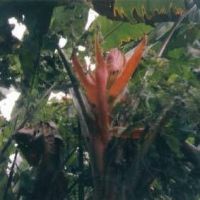 They are now cultivated on all continents of the earth. 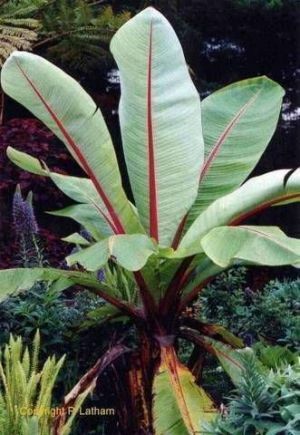 These plants are perennial, herbaceous, evergreen shrubs, depending on the way up to 6 m, with a hollow from leaf sheaths tribe called also pseudostem, with alternate arranged up to 3 m long dark green leaves. 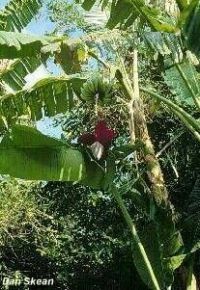 Only the "Musa ingens" reaches a height of up to 15 m and is the "largest" banana in the world. 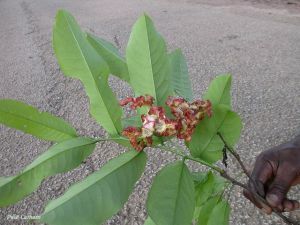 The overhanging, sometimes upright inflorescence consists of single row arranged flowers surrounded by bracts or bracts. 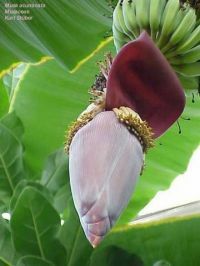 The edible fruit, with ornamental bananas, the ornamental fruits develop from the flowers. 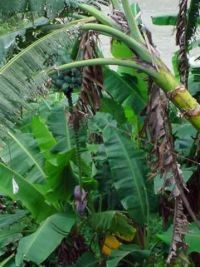 The color of the fruits, actually there are varies "Berries" botanically correctly depending from green over yellow, white, pink, red, blue and purple and can reach a size of up to 100 cm. 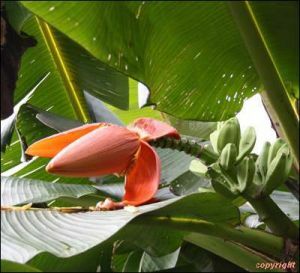 We distinguish between cooking, dessert, and ornamental bananas, where the flesh of plantains fried, grilled or baked, raw in dessert bananas, consumed. 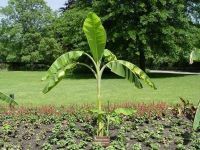 The fruits of the ornamental bananas are usually not edible. 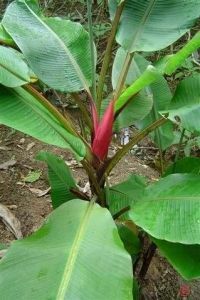 The edible berries are rich in vitamins, minerals and fiber, and absolute pick-me-up.